We are all attracted to the glitz and glamour of the Academy Awards, so if you’re planning any Oscars-themed events, how do you add Hollywood appeal? You certainly don’t have to invite top Hollywood icons such as Meryl Streep or Warren Beatty (especially Warren Beatty!) to make the speeches. However, there are tricks that we can all learn from the Oscars. So, are you ready for your close-up and want to know all the tricks of the red carpet when it comes to Oscars-themed events? A huge part of the real Oscars is the most gorgeous and beautiful strutting their stuff on the red carpet. This is complete with flashing bulbs from the paparazzi and interviews from the top networks. 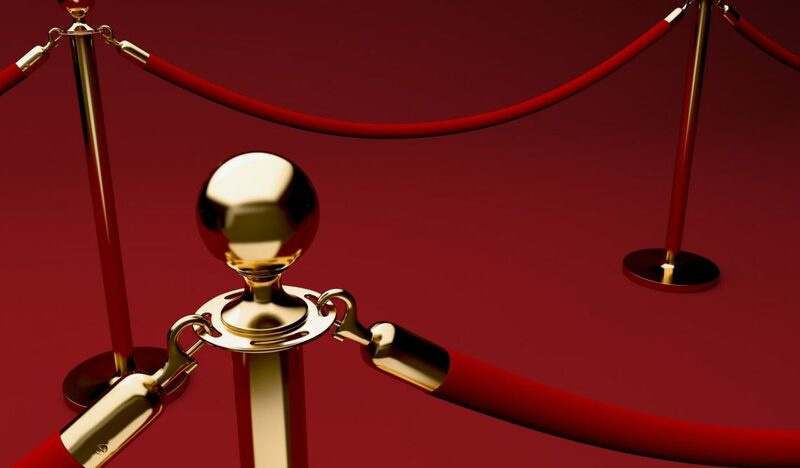 Make sure the entrance to the event is show-stopping and allows the guests and speakers maximum coverage. Provide amazing photo opportunities such as backdrops with printed logos and giant award statues. Create stunning entrances that are spotlighted. Have local news reporters and magazines lining up to take sound bites from the star speakers and the guests. You can then get those printed up in a bulletin for the company. In addition, you can even use the comments for the actual event or later monthly emails to staff. Magazines can feature an ‘out and about’ in their who’s who gallery. Another important factor of all Oscars-themed events is the red carpet. Moreover, if you are going to all the trouble of hiring out a red carpet then you should insist on a strict dress code. Part of the anticipation of the Oscars is what everyone is wearing. Create a Facebook or Twitter page to capitalise on the pre-event gossip. Guests spend ages getting ready for their close-up and will love all the extra attention. Allow them to linger and enjoy the experience for as long as they want. You can even have a theme, such as black and white, a masquerade ball or fairy-tale. However, don’t go too off script. Remember Ron Burgundy and keep it classy! There is no point trying to make guests and speakers feel as if they are in Hollywood if you host your event in a local village hall. Have a scout around your local area and use your imagination. Find a uniquely special place that can be hired and done up. Make your guests feel privileged and special by hiring out a venue that is not normally open to the public. So, anything from a park at night, a museum, an exclusive restaurant or a really posh bar. Or if your budget allows, why not hire a private stately home or even a government building? Think about the wow factor and how your guests will feel when they first set eyes on your chosen venue. You want a mixture of delight and for them to feel pampered and special. In the event that your budget won’t stretch to a swanky place, read our tips on how to transform a boring venue. At the start of your event, give out ballot cards and ask your guests to vote in the different categories. You can be totally serious and have categories such as ‘best admin assistant’ or ‘best project manager’. On the contrary, you can be a little silly and have joke groups like ‘person who brings in the most interesting packed lunch’ or ‘person who always smells lovely’. Once everyone has voted you can collect up all the cards and have your very own award’s ceremony. You can buy Oscar statuettes online and hand them out onstage. Why not dress up as famous film stars and say the wrong name for a few categories, a la Warren Beatty? You can also give prizes to the person who gets the most correct answers. Finally, if you are hosting a serious, corporate event, putting on an afterparty is a great way of letting your hair down. And remember, the afterparties of the Oscars are as famous as the ceremony itself. Elton John often hosts an afterparty, as does Helen Mirren, so get someone to dress up as a famous star. They can meet and greet guests at the entrance with signature cocktails and finger food. And don’t forget the party bags for when the guests are finally leaving. No good Oscars afterparty leaves out a decent party bag. So fill yours up with treats that your guests will cherish.